A little under a fortnight ago, I used Distilled Witch Hazel to tone my face in replacement of my Tea Tree Water that had run out. I woke up the next morning with under the skin bumps, it felt like a reptiles skin. It was horrible! Over the course of the days I just continued my skin routine and the face started to flake. Putting on any sort of make-up was a no no. Flaking, peeling & bumpy skin, what a confidence boost. Taking my bum over to LUSH I needed a top up of goods and I knew I needed a exfoliant and face mask but what? I'm honestly not a fan of LUSH's face masks only in part because of the smell. I don't doubt that they are excellent but when you cannot bare a smell it's not relaxing. You have to use their masks up quickly and I don't use products like a fiend to go through things so fast but I may have found one that turns me into one! 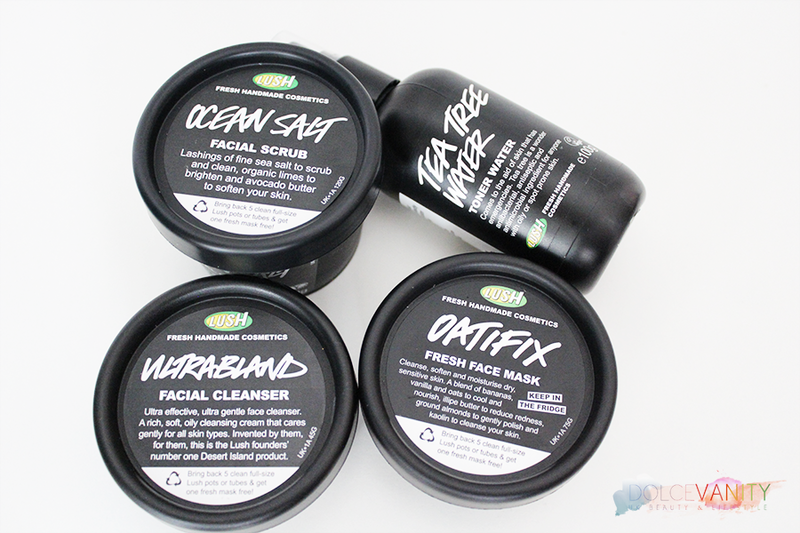 I decided to get my top up of Tea Tree Toner and Ultrabland and revisit Ocean Salt as my facial exfoliant & hunt a face mask down! Partly I enjoy finding new products, who doesn't want to find that skincare routine that's perfect and gives them the youth of life and perfect complexion but there's always that risk of your skin not taking to the products so for the month of August. I will only be using these as my primary skincare. Let's see how my skin takes heading into September. 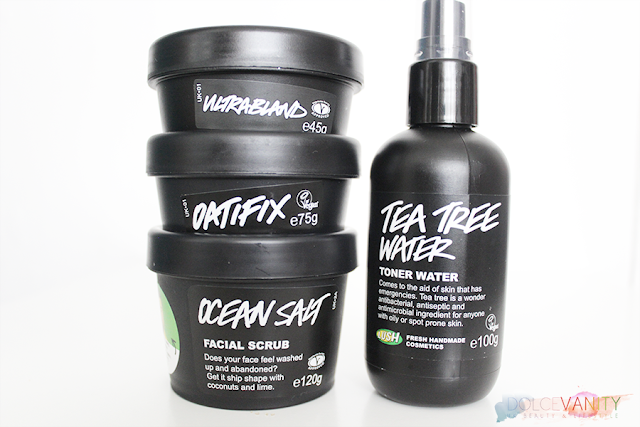 Do you love LUSH products as much as I do ? Me too, I do think you should stick with products once you've found a routine that works. I guess though sometimes as a blogger you get intrigued into finding that miracle one product lol. i love me some lush altho some of the scents can be a lil overpowering. 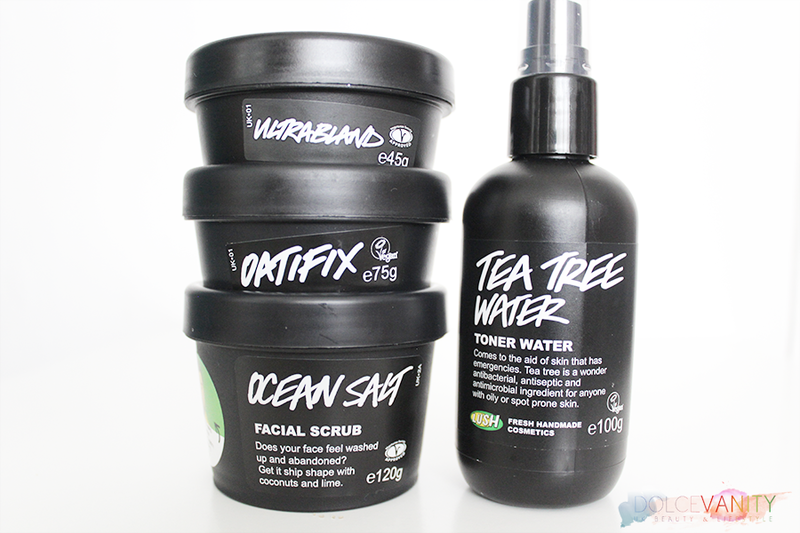 thanks for the shout out hun<3 havent gotten to try face masks yet but I have Ocean salt which i agree is great! Yeah a lot of people say that - especially while in the store, can be hard to know what your truly smelling + np honey.